Japanese Forums are quite popular in Japan and have developed uniquely. There are only a few fashion specific forum websites, but we can see many similar forum Apps. 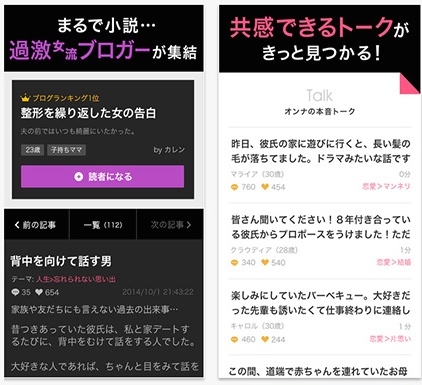 So let’s check out some of these Japanese forum and Fashion APP trends. Girls Talk is a completely anonymous forum only for women. The forum achieved to get over 6 million users in just one and a half years. The Userbase has increased to 9.2 million so far. The topics are not only about ‘love’ or ‘work’, but also about controversial issues & troubles. This openness is not common in other women’ media, so Girls Talk has a unique characteristic. This is one of the reasons, the forum has become popular. Users can also post a blog, that never seen by men. ‘MyhoneyCinderella’, which is the most famous blog, earns 240,000 access per day. Mama Sta is a community web site for mothers. There are several categories, such as, fashion, house work, health, child care and entertainment and so on. Users can post information about schools & hospitals, other mothers can refer to it and take into consideration. 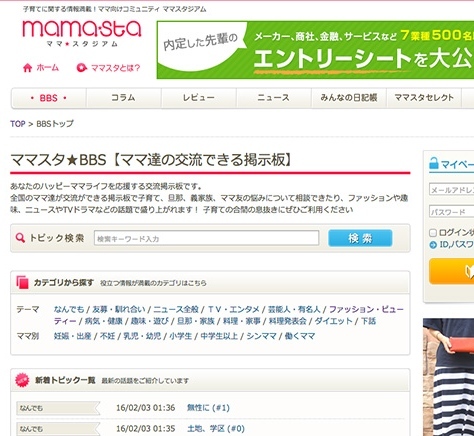 In addition, there are columns about child care, written by famous Japanese celebrity mothers. It’s a good opportunity for mothers to get to know about the important information related to a mother’s daily life. Q&A Community is a fashion forum website. Users can only access from the mobile. 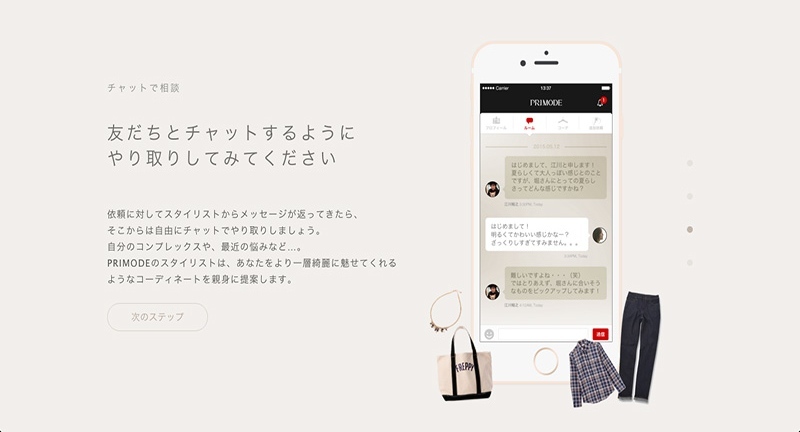 They can post questions about fashion, and the shop staff (10 brands) will answer and solve problems. Users can communicate with the real shop staff, but they can’t share their ideas or thoughts with other users. 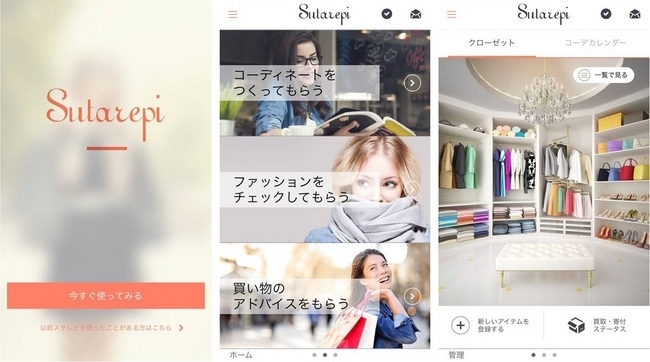 Sutarepi is the APP enabling users to search fashion recipes (coordinate) and propose an ideal outfit. There is a consulting section as well where users can ask an adviser about styling, fashion and even the shopping advice. Users can choose an adviser and other users to ask advice. Advisers are popular stylists and bloggers, so the users can ask many questions to the fashion-pros. In addition, users can also manage their closet, so that they can easily know what they have in the closet via mobile. Users can look for a fashion stylist and also communicate with the stylists via this communication platform. They can set the budget and request styling suitable to certain situations. The App collaborates with EC shops, and the stylists select items from EC shops, so that users can easily buy the outfit from the APP. Inagora Co., Limited started WONDERFULL in July, 2015. 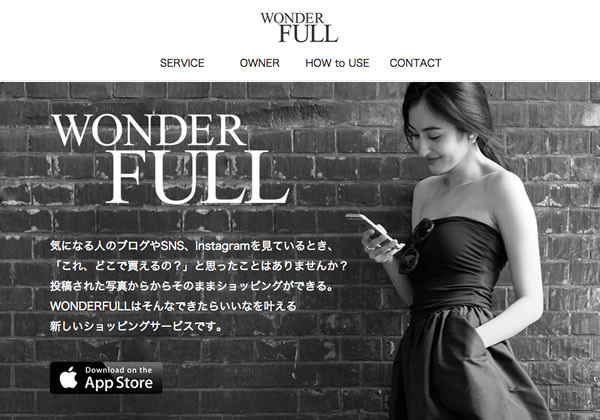 WONDERFULL is an App, combining e-commerce and a social network to create a new shopping experience. 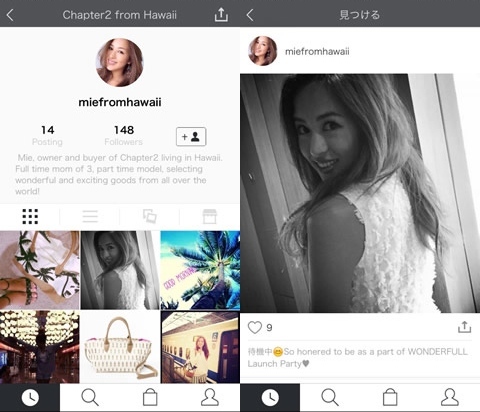 The fashionista, such as model or stylist needs only post a picture on social media, and user can buy the product in the picture directly from the APP. So far, only a selected 100 fashionistas can post pictures, but in the future all user will be able to post pictures to the APP. The way it works is pretty simple. Suppliers register products to WONDERFULL,fashionistas pick up the products and post a matching picture. If users buy the product, fashionista gets a little bit of the margin. There are currently 50 companies and shops that have registered their goods to WONDERFULL. 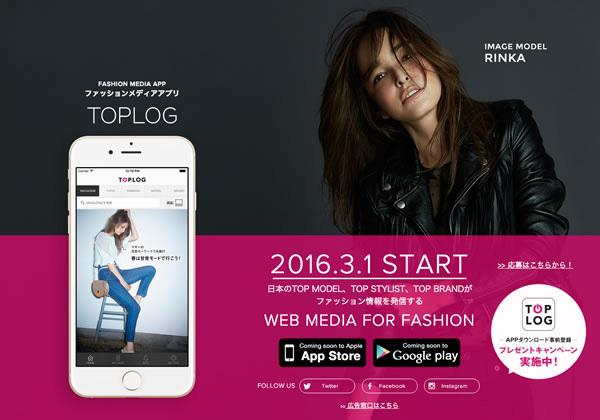 TOPLOG is a fashion media App, which will be released March 2016. 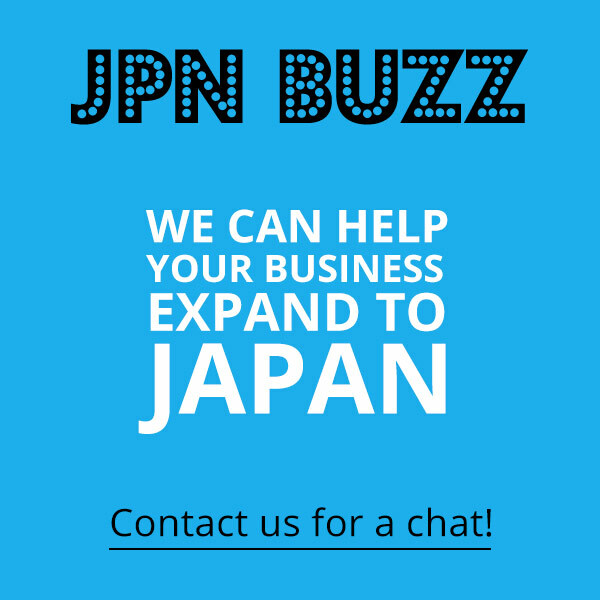 The App has already raised 200 million yen investment to carry out PR and to strengthen contents. The App aims to be the highest quality fashion media. The topics are divided into six categories: Magazine, Topic, Ranking, Model, Brand and Shop fair.